GALION — The 2018 Pickle Run Festival returns to Heise Park in a couple weeks with some new events and a lot of old favorites for everyone to enjoy. The first change is this yea’rs schedule has been shifted to Friday and Saturday instead of Saturday and Sunday. The event is July 6-7 and most events are in Heise Park. While the festival has included a 5K since it returned to Galion a few years ago, this year’s 5K gets a new twist. It will take place Friday night, beginning at 8:45 p.m. The 5k is Glo Run followed by a Fun Run for kids at 9:30 p.m. Registration forms are available at the Galion YMCA on Gill Avenue. It costs $15 until June 25. Entries will be accepted the day of the race for $20. To enter the youth Fun Run, each entrant is asked to bring one canned good as a donation. A great addition for the whole family is a “Dive-In Movie” which will take place on Friday evening, also. A family friendly movie will be shown on the lawn at Heise Park pool. Tickets for this event must be purchased in advance by stopping at the Galion YMCA. Another new event to this years Pickle Run is a 3-on- 3 soccer Tournament on the Heise Park Stadium field. The tournament will be held on Saturday July 7 beginning at 10:30 a.m. Cost is $40 per team, and all proceeds will go to support that Galion High School Soccer team. There will be two age divisions for this event: a middle school/youth division and high school/adult division. Players will play on shortened fields and will play two ten-minute halves. Registration forms can be found online and returned to Galion High School Soccer Coach Eric Palmer or Sarah Capretta at the Galion-Crestline Chamber of Commerce on Harding Way West. For information on the soccer tournament and more visit Visit galionpicklerunfestival.com or the Pickle Run Festival Facebook page. The festival will also introduce an eating contest on Saturday, beginning at 2:30 p.m. The contest will have three categories for hot dogs, pickles, and pies. Anyone interested in entering can sign up at the Chamber of Commerce by July 1. A returning favorite for the Pickle Run is the Anything Goes competition. 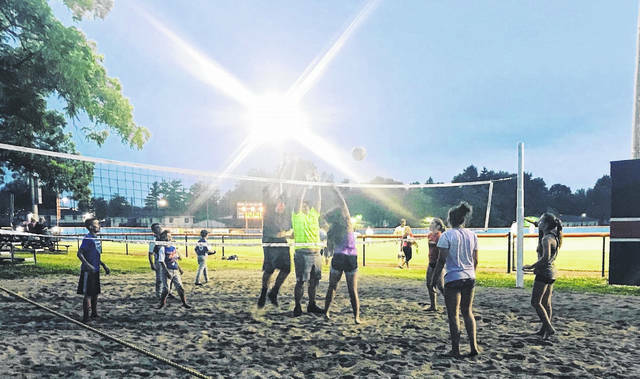 This event is Saturday evening at 5 p.m. and organizer Jeanie Rinehart is looking for teams to participate. Teams must include six members and the cost is $60 per team. To register, email Jeanie Rinehart at jeanierinehart@yahoo.com. Erin Miller | Galion Inquirer. 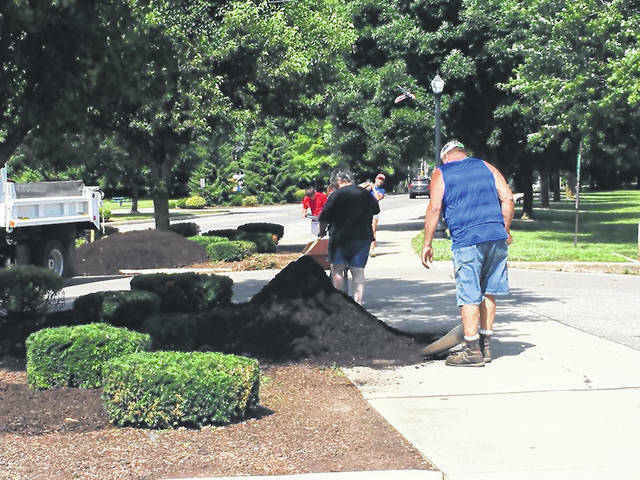 A group of volunteers gathered at Heise Park on Thursday to clean and prepare the area for the upcoming 2018 Pickle Run Festival on July 6-7.
https://www.galioninquirer.com/wp-content/uploads/sites/38/2018/06/web1_Heise-Park-cleanup.jpgErin Miller | Galion Inquirer. A group of volunteers gathered at Heise Park on Thursday to clean and prepare the area for the upcoming 2018 Pickle Run Festival on July 6-7.